Following the discovery of weapons tunnels under UNRWA schools, a closer look at the schools is mandatory. UNRWA does indeed condemn Hamas activity underneath UNRWA schools. Yet UNRWA says nothing about Hamas activity inside the UNRWA schools. Hamas, defined as a terror group by the US, the UN, the EU, the UK, Canada and Australia, has won successive elections since 1999, to lead both the UNRWA workers union and the UNRWA teachers union. Hamas influences generations of descendants of the 1948 war to engage in the 'right of return' through jihad - holy war - to take back Arab villages that existed before 1948. Since 2016, the name "Israel" has disappeared in all UNRWA texts, replaced by the expression "Zionist occupation." UNRWA school books list thirty inflammatory accusations against Jews starting with its usurpation of Palestine and the expulsion of the original inhabitants, through massacres, murder of Palestinian children, assassination of Palestinian leaders, aggression against neighboring Arab states, destruction of Palestinian cities and villages, desecration of Muslim and Christian holy places, mass arrests, attempts at the elimination of Palestinian identity and cultural heritage, besieging the Palestinians by the separation fence, damaging Palestinian economy and harming Palestinian society, and ending in perpetuating the state of ignorance among Palestinians and responsibility for intra-family violence and drug abuse in Palestinian society. UNRWA school books refer to places inside pre-1967 Israel, such as Acre, Haifa and Jaffa as cities that are supposed to be liberated. Though explicit support of terrorist attacks against Israel does not exist in UNRWA school books, such actions are implicitly encouraged by praising their perpetrators who are called "ones who sacrifice themselves (fidai)." Those who are killed in action, or imprisoned, are named "martyrs (shahid)" and "prisoners of war (asir)," respectively, and are much exalted in the books. The newly issued books of 2017 encourage children to emulate present-day terrorists. The female leader of a terrorist group that perpetrated a massacre of thirty-five men, women and children on a bus on Israel's Coastal Highway in 1978 is portrayed as a heroine and martyr in new text books. A new theme appearing for the first time in the 2016 UNRWA books is the fate of the Jews in the country after its supposed liberation: the removal of the usurper (Israel) and the extermination of the foreigners' defeated remnants, namely, those who will survive from among the six million Jews who now live there. A new UNRWA school book describes an attack on an Israeli bus with Molotov cocktails as "a barbecue party." 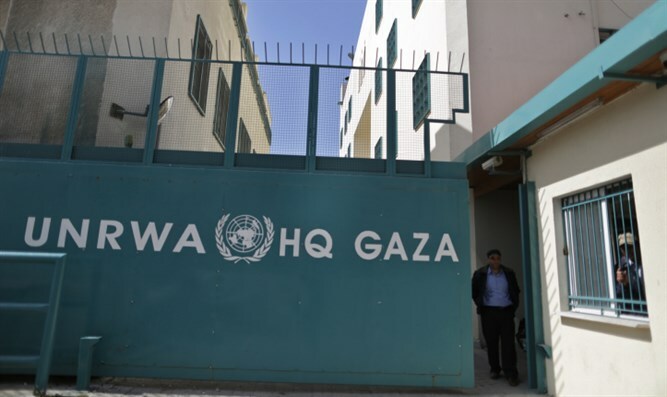 Hamas takeover of UNRWA institutions and UNRWA staff should set off alarms regarding the possibility that the $1.2 billion donated by 68 nations may find its way to finance salaries of Hamas terrorists. Hamas' Islamic Bloc operates in schools run by UNRWA in Gaza, with cooperation and support from UNRWA school staff and management. The Islamic Bloc in UNRWA schools, known "Al-Kutla Al-Islamiya" (the Islamic Bloc) is the official wing of Hamas, which operates educational programs in the UNRWA schools in Gaza, Judea, Samaria and Jerusalem, from elementary school to junior high school. On March 23, 2017, the Islamic Bloc, operating a special program in secondary and middle schools in northern Gaza, organized a series of student activities to mark the 13th anniversary of the “martyrdom” of Sheikh Ahmed Yassin, the founder of Hamas. At UNRWA Al Fakhoura middle school, the group organized a radio stand in commemoration of the “martyrdom” of Sheikh Ahmed Al-Yassin. On September 17, 2017, members of the Islamic Bloc visited the UNRWA Khan Yunes middle school and held a ceremony with its principal, Muamar Irhim al-Fara, on the occasion of the beginning of the school year. On September 19, 2017, members of the Islamic Bloc at the UNRWA C middle school, wearing Hamas scarves, organized a student cultural competition in front of the school. To dispel rumors of a change in the UNRWA curriculum, the UNRWA workers unions in Gaza and Judea, Samaria and Jerusalem issued a joint statement on April 23, 2017 vehemently opposing a March 18, 2017 report attributed to UNRWA from the Israel Civil Administration which reported that there would be changes in the UNRWA curriculum, including the removal of a map of Palestine which ignores the existence of the State of Israel. The recent comprehensive study by Dr. Arnon Groiss of Palestinian Authority textbooks used in UNRWA schools found that they include content that advocates adherence to "right of return" of Palestinian refugees and their descendants to the State of Israel, by force of arms. The curriculum now used in UNRWA schools includes teaching songs that emphasize the violent return of refugees and mention the jihad in this context, presenting the violent struggle as the only means to liberate Palestine, while glorifying martyrdom in this context as a noble death. An immediate, independent investigation is required to address the presence of Palestinian terrorist groups inside UNRWA, the use of UNRWA facilities for the purpose of terrorist attacks and rocket storage, as well as the transfer of UNRWA equipment to be used by Gaza terrorist organizations, and last but not least, the indoctrination of the future generations to war. Aid to UNRWA from 68 countries should be conditioned upon changing a curriculum that teaches war, on the removal of terrorists from the payroll of a UN agency and on a commitment to rehabilitate the refugees into decent new and spacious communities, without waiting for a political solution, which is not in the offing. While some UNRWA donor nations may not be pro-Israel, it is hard to imagine that any western, democratic nations would underwrite an educational system that promotes total war in a UN facility. 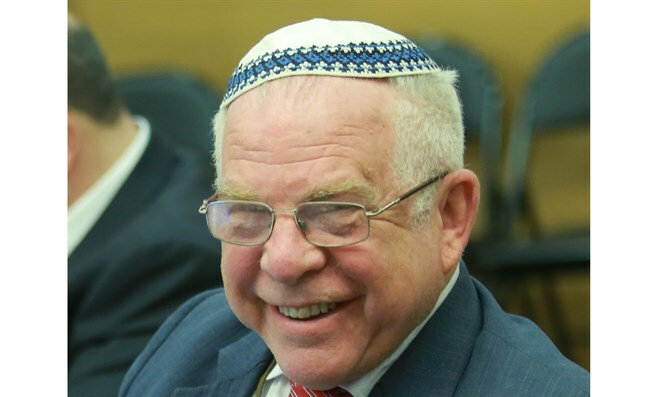 David Bedein, MSW, israelbehindthenews.com, has directed Israel Resource News Agency since 1987 and has administered the Center for Near East Policy Research since 2005. He is the author of “Roadblock to Peace – How the UN Perpetuates the Arab-Israeli Conflict: UNRWA Policies Reconsidered” and “The Genesis of the Palestinian Authority.” Over the past year, the Center conducted an examination and translation of all textbooks taught in all UNRWA schools, along with its seventh investigation of Hamas takeover of the UNRWA schools in Gaza. This study was underwritten by the Simon Wiesenthal Center and the Middle East Forum. The Center published and submitted its findings to the staff office of the UN Secretary General on Sept. 27, 2017, the day before Yom Kippur.